Home Disney TipsDisney Entertainment	Welcome to WDW Event Chats Live! 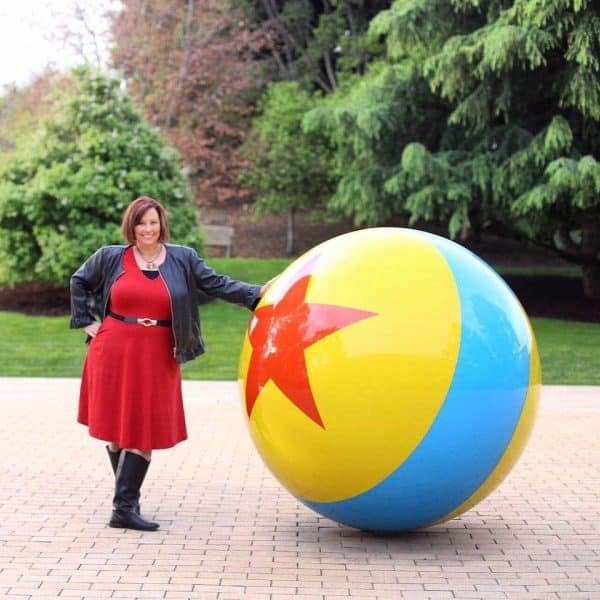 What do 5 Disney-loving mom bloggers have in common? Quite a lot actually. And when we aren’t on or planning a Disney vacation, we are talking about Disney with zero shame any chance we get. Want to join us? Then mark your calendars for our brand new Disney fan live show on Facebook! We’ll be gabbing every Wednesday night at 8:45PM ET/5:45pm PT right on the WDW Event Chats LIVE Facebook page and we’d love to see you there. What is WDW Events Chat Live? Well, it all started with a mouse, but you already knew that, right? For this new Facebook live show, it all started with one of our founding members, Niccole Mucci. She has been hosting Disney fan chats on Twitter for quite some time now using the hashtag #wdweventchat. Naturally as more and more of us are consuming video, it made sense to take things live. Niccole decided to find a few more Disney fans who love to talk and wouldn’t you know it, I fit right in! (Shout out to Patty for the connection). The five of us practically live and breathe all things Disney and we each bring a little something different to the table. Add that to all the new Disney offerings this year and we will have plenty to talk about. Niccole Mucci is one of those lucky locals! She has a passion for all things Disney and since her family lives in sunny Titusville, FL, they are able to enjoy Walt Disney World a lot. 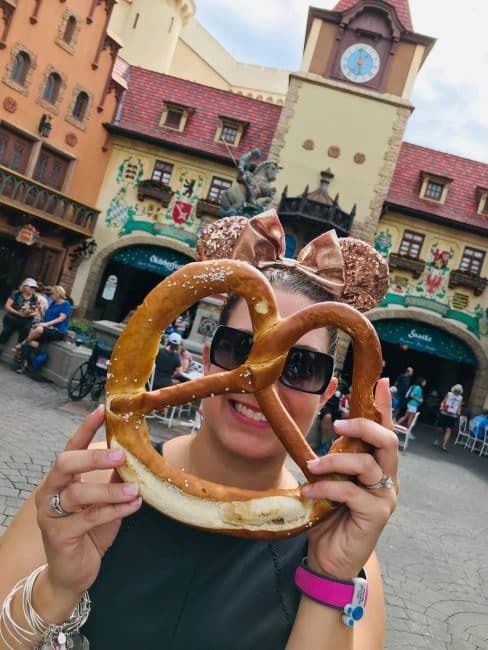 Niccole is a proud boy mom (fist-bump) to a very energetic 3 and 6 year old and you can find their Disney adventures over at The Creative Stay at Home Mom. 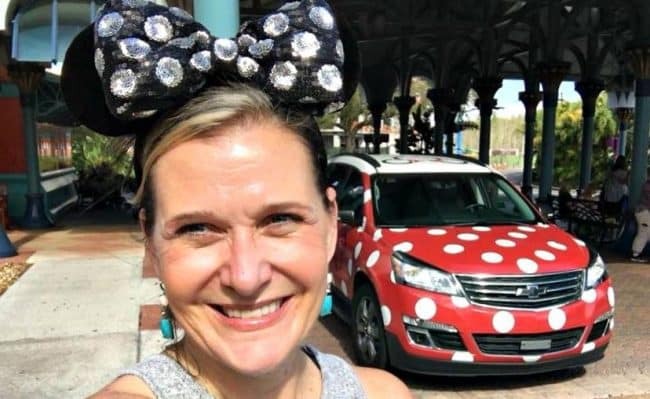 Patty Holliday is a self-proclaimed Disney dork (raises hand) and she has the lowdown on Disney from just about any corner of the US. And she’s lived in most of them! Patty is particularly chatty when it comes to her favorite Disney movies, theme park attractions, or runDisney events. Yes, she’s *that girl* who’s head swivels around when she hears you mentioning a Disney vacation while in line at the grocery store. And we’re all glad because that advice is 100! Get all of Patty’s updates at My No-Guilt Life. Jill also loves Star Wars and all things Marvel (Team Thor.) Her favorite Disney princess is Cruella DeVil and thinks Disney villains in general are just misunderstood. You can read about all of her adventures at Ripped Jeans & Bifocals. Kimberly Stroh grew up in a Disney family and now she’s sharing the love with her kids. She is also a Disney Vacation Club Member and has been participating in Run Disney events since 2013. Kimberly believes that girl’s trip and couple’s trips to Disney are a MUST. Who am I to argue with that? Catch her stories over at Savvy Mama Lifestyle. And then there’s me! Andrea Updyke here and whether this is your first or fiftieth time visiting my blog, I’m super excited you’re here. I was born and raised in Clearwater, FL just over an hour from Walt Disney World. I moved to Raleigh, NC as an adult and my husband (a Disney convert) and I are raising two awesome boys, age 10 and 7. My family loves to visit our happy place as often as we can and I’m always planning our next Disney cruise or Walt Disney World vacation. 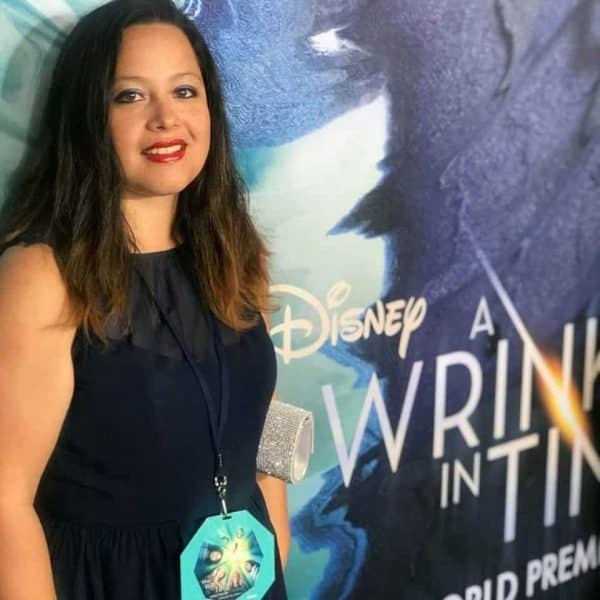 In recent years, I had the chance to answer questions as a Panelist on the Disney Parks Moms Panel and I love helping others with vacation tips whenever I can. We are huge fans of all things Disney Halloween and since we have an annual fall break, it’s our favorite time to visit. 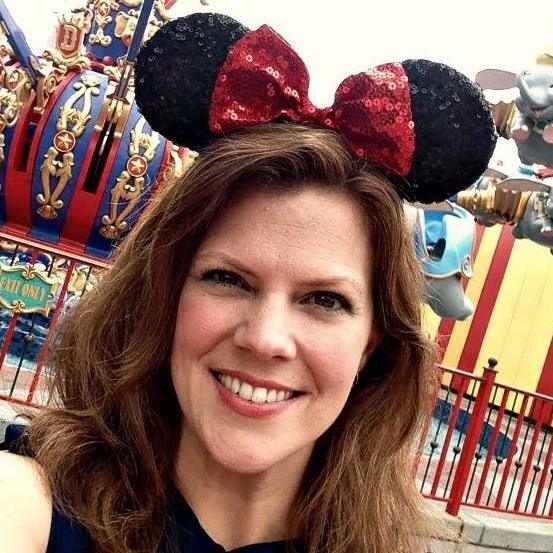 Here on my site, you can find me talking about Disney entertainment, travel tips, mom hacks, and passing out encouragement like candy to all the other hardworking mamas out there. What’s New at Disney in 2019? Want to know what’s new at Disney in 2019? In a word, everything! In fact, there are so many new experiences coming to the parks, cruise line, and resorts that it’s hard to keep up. We can’t wait to talk about all of it from Mickey & Minnie’s Surprise Celebration to Star Wars Galaxy’s Edge to the new DVC properties and Disney Skyliner. It’s gonna be fun! So don’t forget to head over to our WDW Event Chats Facebook page to like and follow our chats so you don’t miss out. You can also click *interested* within the event page for each date to get a reminder right on Facebook before we go live each week. Can’t wait to get started. Let the memories begin!